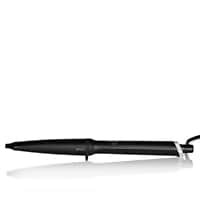 Get perfectly curled hair every time with the ghd curve® wand range. Whether you've got long or short hair, our curve® wands can help you can create loose relaxed waves or tight defined curls without all the hassle. Style your way to hair perfection with the ghd curve® wands and achieve a salon finish every time, thanks to our ultra-zone technology.